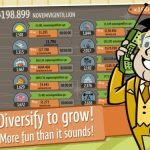 Are you ready for more AdVenture Capitalist tips and cheats? If you are, then so are we. 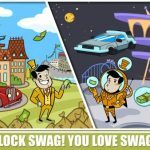 Last week, we talked about angel investors and how they’re one of the most important aspects in this fun and addictive iOS and Android game by Kongregate. 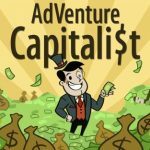 And since we want to give you a good background on the title in case this is the first AdVenture Capitalist tips and tricks guide you’re reading, the game essentially allows you to become the richest person in the entire universe, starting from a tiny lemonade stand and upgrading and upgrading until you earn beyond the trillions. But how can you earn unlimited money in this game, without having to hack it? Read on and we’ll tell you in our AdVenture Capitalist tips and tricks guide. The time lapse cheat works like a charm in AdVenture Capitalist. How do you do it, and what’s in it for you? Simply switch your device to airplane mode or turn off your Wi-Fi or cellular connection, then close the game. Once you’ve done that, you can go to your phone or tablet’s settings and move the time ahead by a couple of hours. Return to the game and you’ll be collecting a great deal of money, depending on how far ahead you set the time. That’s not all as far as the time lapse cheat is concerned. After you’ve returned to the game to collect your cash, close the game, switch the time back to normal, and reopen the game. You won’t be collecting cash automatically, but you can restart the game for angel investors to do this once again. A bit of a disclaimer, though – you’ll need to have the required managers in order to pull off this twist on the time lapse cheat. Alternately, you can purchase all the required managers or only some of them, then quit the game and set the time on your device backwards. Open the game again, wait for it to sync with the server and close it once again. Put your phone to airplane mode, switch the time back to normal and return to the game. Once again, you’ll be earning a lot of cash with this second time lapse twist, relative to how far you had set the time back earlier. Yes, you got it right – it’s all about the time lapse cheat when it comes to earning unlimited cash in AdVenture Capitalist. Keep repeating the cheats we told you above and you’ll make a trillionaire look like a homeless man with all the money you’ll be earning. Then again, we probably would also advise you to go easy on these cheats. While it’s all well and good to play the game in God-mode, so to say, we believe it’s even better to play it the honest way so as not to spoil the fun and the challenge. It works and is great idea. Don’t go to much back in the date as then you will be god rich and the game becomes rubish as you have all it has got. I went back to 2000 and had already plenty of upgrades so it made the restart on lemon as octilions so in after few minutes it startet getting boring because of so much richness lol.